The rolling and sliding actions which occur in all types of gearing, such as spur, helical, worm, spiral bevel or hypoid, present a different type of challenge to lubricants compared to ball or roller bearings. Many designers, especially worm gear designers, are interested in increasing gear box efficiency. Modern designs require the most in power transfer with minimal noise and heat generation. In some cases, oils are being replaced by specially designed synthetic greases to reduce component cost by eliminating the need for seals and the machining costs associated with oil seal designs. Other gear train designs may have special operating environments including high and low temperature, corrosion and oxidation concerns. With modern lubricants, these challenges can be met very effectively. Utilising various synthetic base oils and gellants these lubricants not only minimise friction but can inhibit wear and corrosion, dampen noise and control free motion. They can meet broad temperature requirements without oxidising or evaporating. And they can provide manufacturers of today’s power transmission devices with an “edge” that will increase the performance and life of their products. Please scroll down/browse the information to decide which lubricant is most appropriate for your gear application…..
NYOGEL 788 -20 to 125 PAO/Polybutene - Silica 409 1.5 Mildly thixotropic, heavy viscosity, grease. Benefits include high film strength over a wide temperature range. Rust inhibitor included. NYOGEL 792D -30 to 125 PAO - Silica 150 00-000 A semi-fluid grease including a thickening agent that upon heat and shear, allows the grease to become even more fluid (almost like an oil), but when the shear and/or temperature are removed it thickens to better stay in place. EP Fortified. RHEOLUBE 363AX-1 -50 to 125 PAO - Lithium Soap 46 2 Light viscosity grease that is excellent for wide temperature performance. Great all rounder that includes a tackifier, rust inhibitor and is EP fortified. RHEOLUBE 368AX-1 -20 to 125 PAO - Lithium Soap 259 2 Medium viscosity grease intended for highly loaded gear applications. Includes a tackifier, rust inhibitor and is EP fortified. RHEOLUBE 368SM -40 to 120 PAO - Lithium Soap 243 0.5 Very soft, medium viscosity grease intended for small motor gear train and similar applications. Good film strength. EP fortified and rust inhibitor included. RHEOLUBE 377AL -40 to 125 PAO - Lithium Soap 45 1 A soft, medium viscosity grease intended for high load, low torque gear applications. Both EP and PTFE fortified, also rust inhibitor included. RHEOLUBE 380 -50 to 130 PAO/Ester - Lithium Soap 32 2 Blended base oil gear grease suited for long life metal gears in automotive starters, power tools, and heavily loaded applications. EP fortified with rust inhibitor also included. 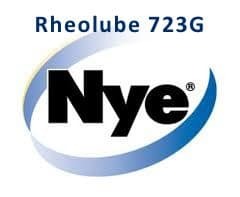 RHEOLUBE 723GR -40 to 125 PAO 80 0.5 A soft, medium viscosity, grease intended for plastic gear trains, slides and cams. UNIFLOR 8511 -50 to 225 PFPE 65 2 Medium viscosity, completely fluorinated grease for use in high temperature applications or exposure to fuels or aggressive chemicals. Excellent thermo-oxidative stability and low vapour pressure characteristics.